10:00 – In the morning in the hotel lobby You will guide and excursion to Hakone! Neighborhood Hakone is located in the south of Kanagawa Prefecture and is part of the national park “Fuji-Hakone-Izu National Park” , a total area of 1227 sq.km. 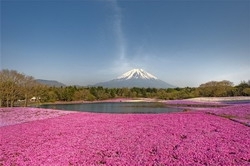 The park is located in the central part of the island of Honshu in the prefectures of Tokyo, Yamanashi, Kanagawa, Shizuoka. 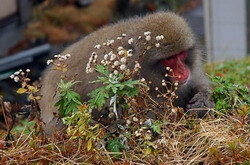 The park was founded in 1936, it includes the Izu Islands. National Park “Fuji-Hakone-Izu National Park” is the main Dost noteworthy Japan – proximity to Tokyo, views of Mount Fuji, hot springs resorts, beaches and forests Hakone Izu Peninsula have made this park the most popular recreation area and spa treatment in Japan. The Hakone is a museum in the open air sculptures. Mount Fuji , hot springs, volcanic island with tropical vegetation, the famous Fuji Five Lakes.According to the cable car “Komagatoke” (tickets for the cable car and cruise – 2500 Jap yen per person). You go up to the foot of the mountains and on the shore of scenic Lake Ashi.Located in a national park Japanese, Asi lake is one of the main attractions of the area. In its waters is reflected Mt. Fuji framed pattern of slender pine trees, you can admire the beautiful scenery while cruising on this “piece of paradise” in the mountains. Excursion at Fuji will enable you to improve your body and have a rest from the city suety.Zdes great at any time of the year. 13:00 – Lunch. 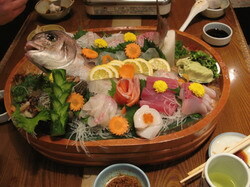 Freshly caught fish from the lake can be enjoyed at a local restaurant. The guide will help you with a choice of dishes. – 20 baths with different fillings: red wine, rose, lavender, coffee, lemon, green tea and sake. – A variety of spa treatments. – Roman, Turkish, Finnish saunas, a swimming pool with water from the Dead Sea, a solarium, water slides, a “cave of surprises” and much more. – Hot mineral springs in the Japanese style outdoors with an unforgettable panoramic view of the park. Note: Swimsuit – can be purchased within the complex, or bring along from the hotel, the entrance ticket costs 4,000 yen for about $ 40. 20:00 – Return to the hotel.